This historical novel takes place in an asylum while poet John Clare (left) was an inmate and poet Alfred Tennyson was a guest. The recent spate of books denying the existence of God has spurred a robust response from believers, who have mined thinkers from Aquinas to Darwin to make their argument. As far as I know, however, no one has put forth the most compelling evidence for the presence of a divine spark: John Clare, the hero of a compelling new novel by Adam Foulds. Clare, the great “peasant poet’’ of the 19th century whose surprising early success was followed by struggle, loss, and madness, is a phenomenon difficult to ascribe to natural causes. Born in the eastern flatlands of the English countryside in 1793, the son of a subsistence laborer in a community of illiterates, Clare was a boy bursting with feeling and possessed by rhyme. His work is characterized by a facility for versification, a naturalist’s eye for detail, bold use of colloquialisms, heartbreaking candor, and a visionary’s rapture. Many of his poems begin with the words “I love,’’ from the somewhat stilted “I love at eventide to walk alone’’ to the easy and musical “I love to hear the evening crows go by.’’ As deep as his affection for nature’s humbler creatures — “the badger grunting,’’ “a blossom in its witchery of bloom’’ — is his love for humankind: “And man, that noble insect, restless man/Whose thoughts scale heaven in its mighty span.’’ Clare writes about his fellow mortals with a depth of feeling and a breadth of sympathy that seems touched from above. If the life and work of Clare might pass as evidence of a divine presence, “The Quickening Maze,’’ Foulds’s fictional account of Clare’s four-year stay at the High Beach asylum for the insane, is equally persuasive about the existence of evil. This masterfully contrived novel hauls the reader, heels dragging, from the poetic sublime into depravity. 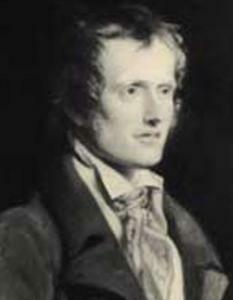 Told in the third person, “The Quickening Maze,’’ creates plausible portraits of Matthew Allen, the charismatic con man who runs the asylum; his romance-steeped 17-year-old daughter, Hannah; the then little-known poet Alfred Tennyson, who has brought his brother Septimus to the asylum; Clare himself; Margaret, a holy anorexic; and several other mad, half-mad, and sane individuals, real and imagined. ‘I know when I smell sulphur. I know when people have forgotten shame.’ . . .
Foulds’s depiction of this small hell and the larger purgatorial world is balanced by the heroic actions of Clare, whose kindness and courage never waver even in his own madness. To be sure, there are inherent drawbacks to historical fiction. To guess at the words and thoughts of long gone people risks inaccuracy at best and disservice at worst. Foulds’s Clare is a less sophisticated version of the real poet. But the essence of the man, his sweet, courageous, fine spirit, is real enough in this deeply rewarding fiction. Alec Solomita, a fiction writer and critic living in Somerville, can be reached at alecsolomita@ymail.com.